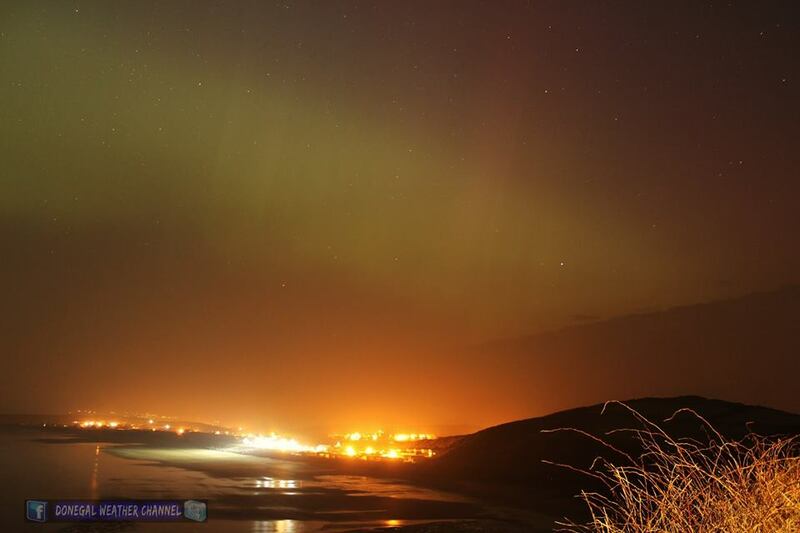 Thank you for our friends at the Donegal Weather Channel based in Ballyshanon who brace the cold outside of Smugglers Creek Inn on St Patrick’s Day to capture this amazing image of the Northern Light! You can also see a video produced by the Donegal Weather Channel, check out their Facebook page for details. Enjoy! Want to know what it’s like to ring in the New Year at Smugglers Creek Inn? 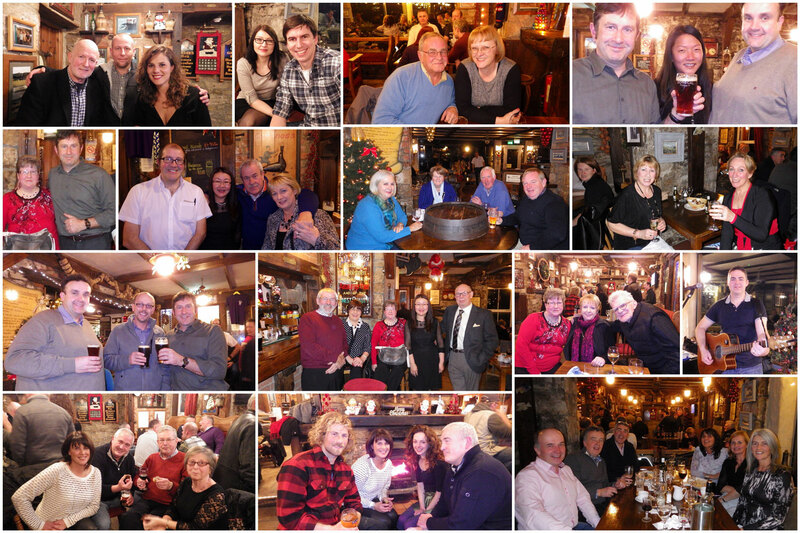 Here is a snapshot of the 100+ guest who had a blast on Wednesday 31st December 2014. So come and celebrate New Year’s Eve with us with a delicious five course dinner + live entertainment. The waiting list for the 2014 party was long so don’t miss out and book early for Smugglers Creek’s Annual New Year’s Eve celebration 2015. Try something different January 2015? 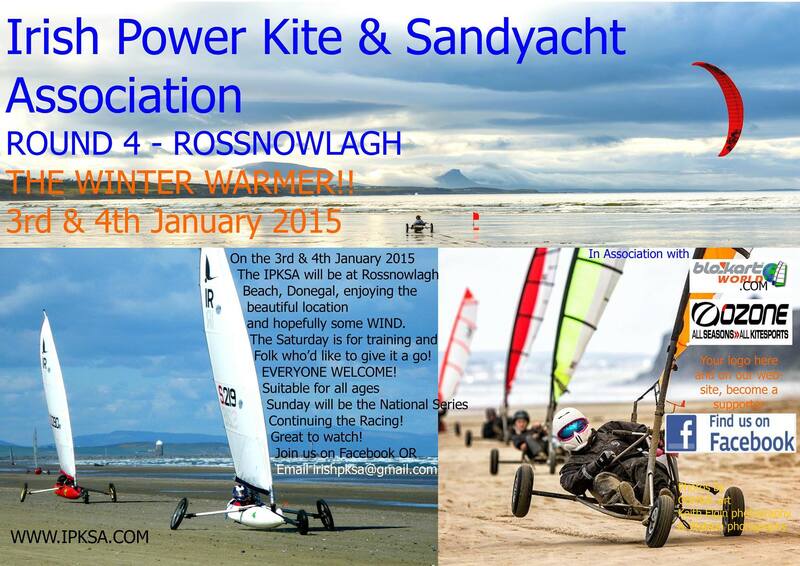 The Team from Irish Powerkite & Sandyatch Association (recently featured in Sunday Times) Aidan, Alan, Pat and Damian will be at Smugglers Creek Inn over the weekend of the 3rd &4th January. For those of you who would like some more information, please check out their website on www.ipksa.com or come along that weekend and you might bump into one of them in the Bar! On Friday the 5th December, Smugglers Creek Inn celebrated its fifth anniversary in style with drinks and hors d’oeuvres aplenty, topping off the evening was a live performance by Gary Mac. Many friends, customers and suppliers were there to celebrate this special occasion with Proprietor, Emily Browne, who took ownership of the iconic place since November 2009. “I still remember the day when I got the key to open the door to Smugglers Creek. Over the past five years, we carried out many renovations to the building. 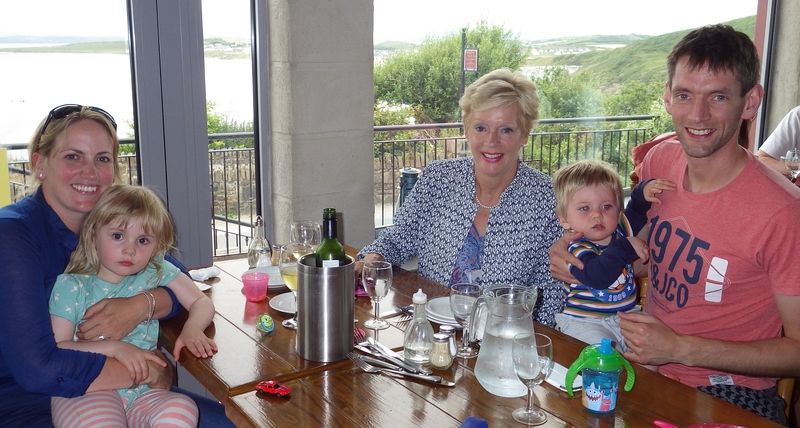 In spring 2014, we opened our brand new conservatory restaurant which maximised the key attraction of Smugglers Creek, now our customers get to experience the uninterrupted views of Rossnowlagh Beach and Donegal Bay while enjoying a delicious meal. Today, I am absolutely thrilled to mark our 5th anniversary with our GREAT BIG THANK YOU PARTY. From our first lunch service to our first culinary award, we have been truly honoured to serve the food we love in this magical place we love. Our loyal customers and dedicated team deserve a GREAT BIG THANK YOU for helping us reaching this milestone. We couldn’t have done it without your support! I look forward to doing great works with my team over the next 5 years!” said Emily. 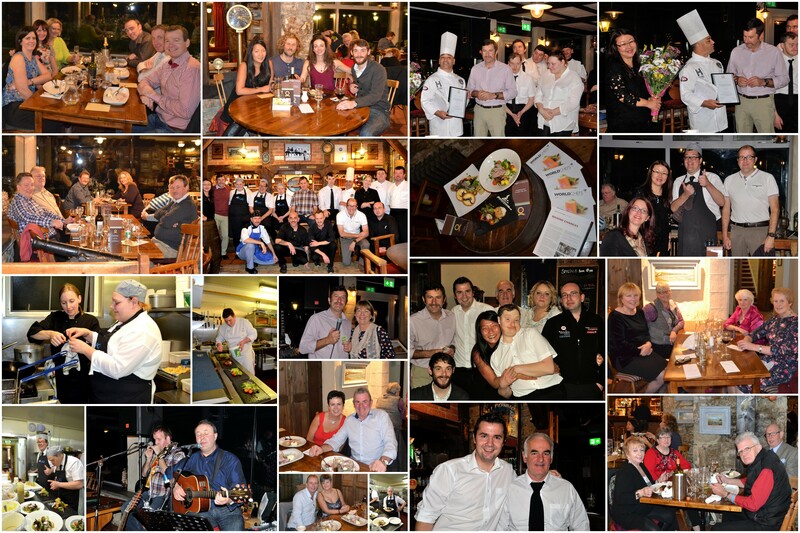 Smugglers Creek Inn, in association with The Culinary Ability Award hosted a Fundraising Event for the Establishment of a Culinary Training Facility for the Disabled in Ireland last Friday, the 14th November 2014. Its founder, the Award-Winning Chef Chris Sandford and his team of chefs with disabilities cooked a 5 course dinner for our guests that evening, followed by raffles and auction, live entertainment was performed by the talented blind musician Joseph Deery and Brian O’Sullivan, who so kindly donated their time for this good cause. 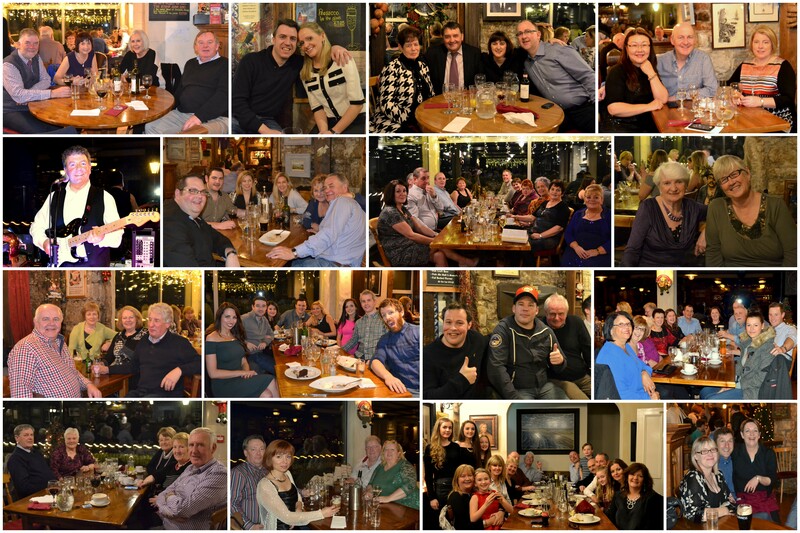 Over €1800 was raised on the night, all money went to The Culinary Ability Award. A BIG “THANK YOU” for those who came and supported the event, as well as the staff at Smugglers Creek who worked for free that evening. Not to mention all our suppliers who sponsored the food and spot prizes for the raffle and auction. (Names in alphabetical order, Albatross Seafood, Artist Claire Falconer, Dalcassian Wine, Enniskillen Hotel, Lusty Begs Hotel, Lough Erne Golf Resort, Pallas Food, Paul Rush Art, Robert Roberts Findlater Wine and Western Beverages. The Culinary Ability Award, which educate and nourish professional culinary ability in individuals with disabilities For more information, please click link below for The Culinary Ability Award website. 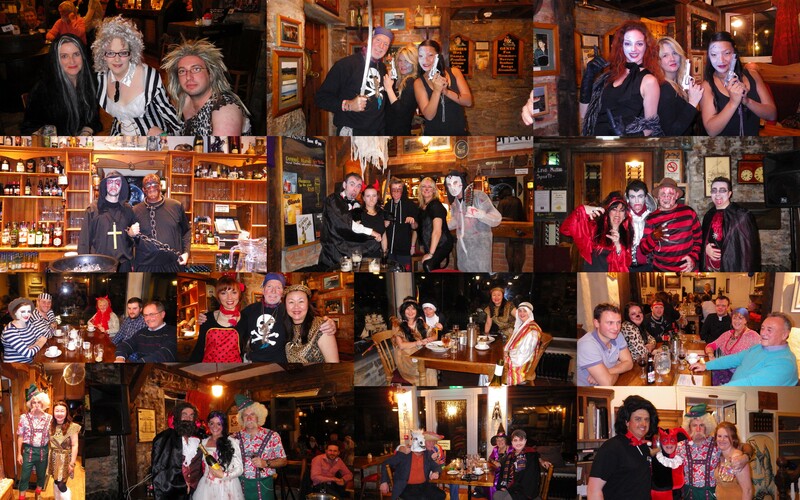 Missed this year’s Smugglers’ Creek Annual Halloween Costume Party, here are some highlights of the night! Hope to see you next year, it will be on Saturday 31st October 2015. 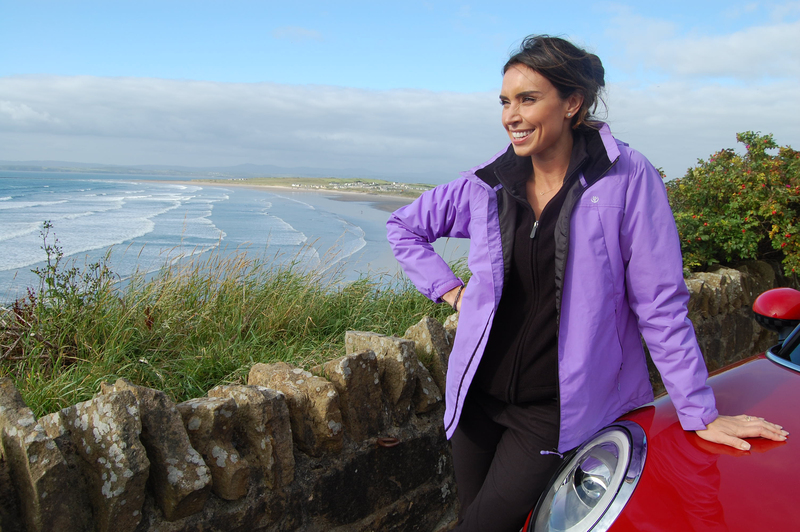 Christine Bleakley, ITV television presenter and fiancée of soccer star Frank Lampard, pictured here outside of Smugglers Creek Inn, was filming a new six-part TV series on the Wild Atlantic Way in Rossnowlagh, on Monday 1st September, the new program will be broadcast on ITV in spring 2015. The series is a new initiative by Tourism Ireland and it is set to help bring thousands of extra tourists here next year. Filming for the new TV series is under way right now; it will highlight the spectacular Wild Atlantic Way to millions of viewers – or potential holidaymakers – across Britain. Mark and Ian Rush from Smugglers Creek Inn were among the group of surfers that were filmed at Rossnowlagh beach by the production team last Monday. Look out for them next spring! 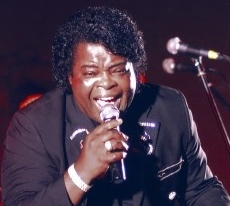 Smugglers Creek Inn is proud to present Soul Sensation Buck Taylor on Friday the 29th August 2014. Bar opens from 12 noon, food serves all day. Music starts at 10:30pm. For dinner and accommodation reservation, please call +353 71 9852367. See you at Smugglers! John, Caroline, Sally, Lily and Tullan Stephens were the prize winner of Discover Ireland promotional event which focused on the Wild Atlantic Way and encouraging Irish holidaymakers to get out and discover the wonders of the west coast touring route. It was to create excitement in the run up to the Ryan Tubridy 2fm Roadcaster Tour took place in Strandhill village this week (Monday 7th July to Friday 11th July). Ryan was broadcasting at a different location along the Wild Atlantic Way every day. The prize winners, the Stephens family took their holiday this week and reported back into 2FM daily about how they were getting on. Smugglers Creek Inn was delighted to have the opportunity to cater for the Stephens Family and we look forward to welcoming them back in the not too distant future! Smugglers Creek Inn is proud to host Arylene Murphy’s 50th Birthday Party and Fundraising event for the Donegal Sexual Abuse & Crisis Centre this Saturday night, 10th May 2014 from 10pm. With Charity Races, live entertainment by our own Tina Turner and music by John Meehan, it will be a fabulous night! Here is a photo of Arylene’s Interview at TV3’s Ireland AM programme on 8th May 2014.